Its 2003 and the hunt is on for Saddam Hussein. The men of Operation Urgent Surprise think theyve found the Butcher of Baghdad but instead uncover weapons of mass destruction in the form of ZOMBIES! 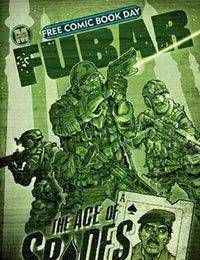 Shock and awe turns to bite and claw on the bloody sands of Iraq in this full-length FUBAR Spec-Ops spectacular.